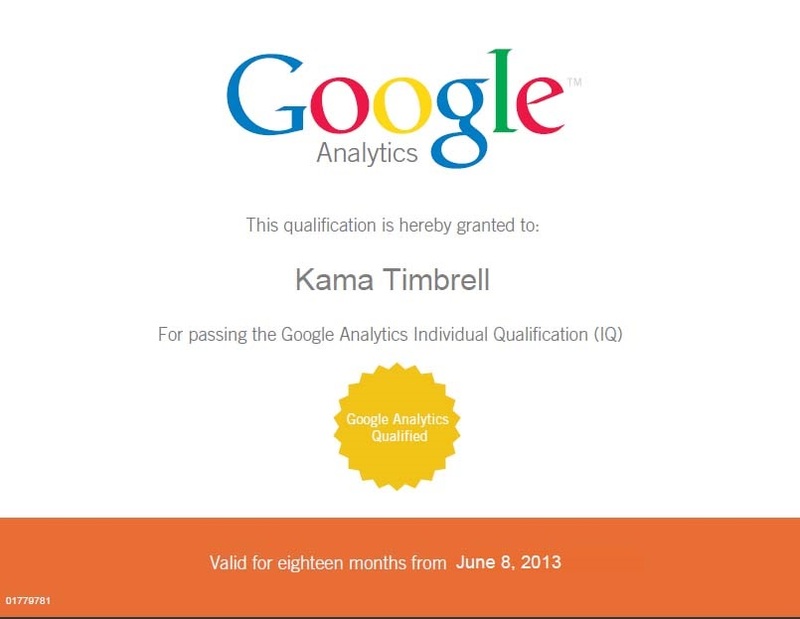 The Google Analytics Individual Qualification certification lasts for 18 months. So I decided to study and take the exam again. The challenge of the test for me is how much of it requires experience and access to an account as an administrator. I’m an administrator on an account I set up for a Meetup group I organize, and that isn’t exactly pulling in thousands of visitors or pageviews a month. Still, thanks to the lessons provided by Google and a lot of time spent every day for a month going over and over them, I am recertified for another 18 months. We’ll see how I feel about doing it again in a year and a half.